Keeping medicines and medical supplies secured and out of the wrong hands is extremely important. 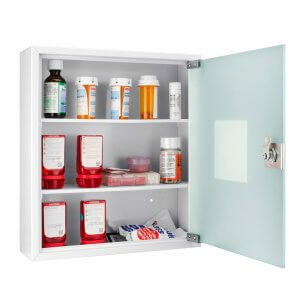 Barska recognizes the need to keep medication protected and secured, which is why we offer a full line of medical cabinets in varying sizes and with a wide range of features. Each Barska Medical Cabinet can be wall mounted with the included mounting hardware, and is accessible only to users who have the correct key. 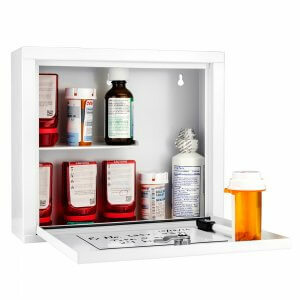 Internal shelves help maximize overall storage space, creating plenty of room for prescription drug containers and other medical supplies. 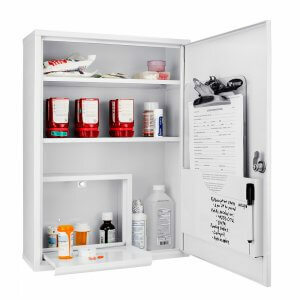 Each medical cabinet also comes with a convenient dry erase board and marker for making patient or medication notes and medical identification stickers.